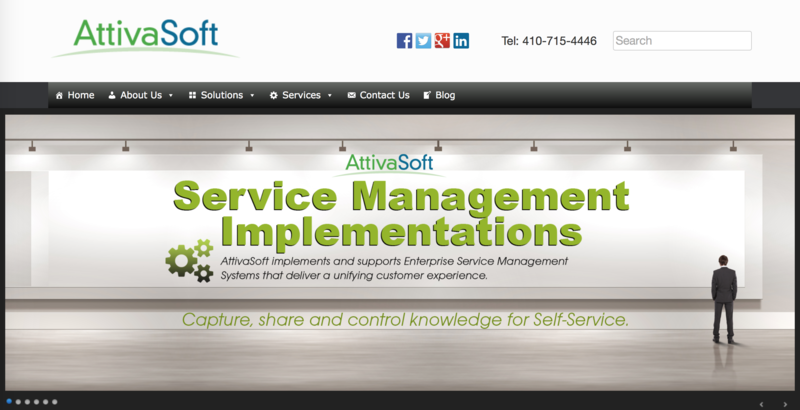 Columbia, Maryland, USA, April 20, 2015 – AttivaSoft (www.attivasoft.com) is inviting visitors to explore its recently launched website. 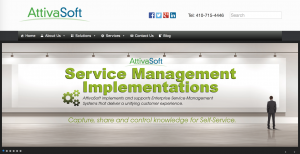 AttivaSoft provides IT Consulting and Technical Services to Federal, State and Local Governments, and Medium size companies. The new website has been designed to better inform and educate customers about its portfolio of IT services and partner solutions. Focusing on ease of navigation and integration to social platforms, the site is structured to eventually aggregate relevant industry knowledge as a digital channel on the evolving IT Service Management paradigm. The site includes partner product information to help customers understand the capabilities and value of leading IT Service Management product vendors such as BMC Software, Cherwell Software and Kinetic Data. Technical data, videos, application case studies and blog posts will provide public and private sector customers with options when considering leading evidence-based Service Management solutions on Gartner’s magic quadrant. Furthermore, to become a relevant digital channel through its ‘Learning Center’ section, the site allows users to easily socialize partner product information, inspiring articles and relevant blogposts on Service Management guides that improve the customer experience. “Essex County Council (ECC) is England’s second largest local authority and is the overarching local government body for Essex, an administrative area east of London. In collaboration with 12 district and borough councils, two unitary authorities, and about 300 town and parish councils, the Council provides vital services to a varied population of around 1.4 million people over an area of 1,300 square miles. Information Services (IS) are an in-house Information Services department who support a user base of around 10,000 County Council employees, plus external customers. Made up of around 200 people, IS provide a fully managed IT service, looking after servers, networks, websites and applications in partnership with external suppliers. Read Full Article at it’s source here: Essex County Council: An ITIL® Case Study. The concepts around tool implementation and the adoption of best practice have, thankfully, matured in recent years. It is now well accepted that a big-bang approach to an IT service management (ITSM) program is not the best way to achieve an improvement. Gone are the days when an enthusiastic service management proponent would advocate launching multiple ITSM processes in one ‘big-bang’. Going live on day one with a new tool by launching incident, request, problem, change, release and configuration management is very unlikely to deliver the expected value in the short term. In our recent interviews with industry experts around ITSM tool implementation, Kai Andresen and Sönke Küerschner from Prevolution, a Cherwell Partner™ organisation based in Germany, talked about the need for agility. The immediate response is often “incident management,” but this may not be the most appropriate starting point. In any improvement program, a key element to ensuring success is getting some quick wins. In order to achieve this, consider which area of your operations is experiencing the most pain, and set about making some quick improvements in that area to maximize your positive impact. Whichever process you decide to implement first, you need to spend time nailing it down and continuously improving it. This staged implementation will give you the opportunity to demonstrate the value each process brings. It also ensures that each part of your tool and process development is embedded before embarking on the next. A quick implementation is very unlikely to be a good implementation. A successful ITSM improvement program is likely to take many months before it will be considered a success. Even then, the development of your processes will continue as part of your continuous service improvement program. It is important to keep your vendor engaged and involved during this process as the most successful tool implementations are those where the vendor is an active partner and participant in the program. An engaged vendor will understand your business. 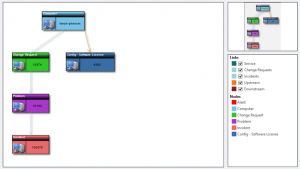 Taking this iterative approach to setting your new ITSM tool up also removes the temptation to ‘lift and shift’ the configuration, processes and workflows you may have been using in a previous tool. Remember: you are implementing a new tool and embarking on an ITSM improvement journey for a reason. Leave your old processes where they belong: in the history books. Making the most of your new technology means building and implementing freshly designed processes that better fit your business goals. Using all your old processes will simply move your current problems to a new platform. Using agile techniques for your tool implementation is not a replacement for good project management technique and planning. Being agile will require discipline and planning, otherwise you will end up with a mish-mash of configuration that won’t work for anyone. Be agile, but be cautious and disciplined at the same time. Take things slowly, one step at a time. Leave your old processes where they belong, in the past, and keep your vendor involved. If you do all these things, you will have a good shot at having an ITSM tool that truly meets your requirements and adds real value to the business. 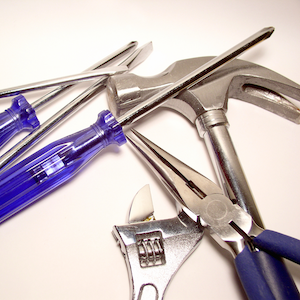 Have you recently, or are you currently, implementing a new tool? If so, what advice would you give your peers about to embark on this type of activity? A few days ago, Jarod Greene posted the first of two blogs about how exciting Cherwell Software’s mApp™ solutions are and how others in the industry think so as well. Jarod might have refrained from having to pull a Kanye at Pink15, but allow me, for a minute, to play the role of ‘hype man’. 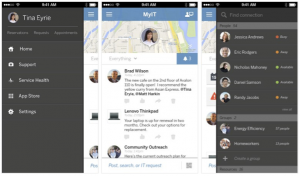 Cherwell does not require customers to write code to extend Cherwell Service Management® software, and our mApp technology demonstrates this by allowing customers to extend capabilities as easily as adding applications to a smartphone. Legacy solutions are hard to extend. When this is done, it is at great expense and requires significant overhead. mApp solutions seamlessly blend into existing installations and customizations which both add value to — and protects — your Cherwell investment through updates. This means the broader community of Cherwell customers and partners can join in the fun, by building and sharing capabilities beyond IT. 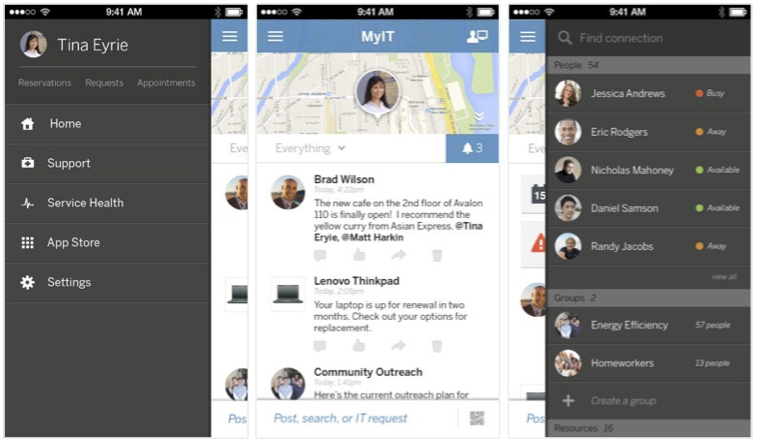 We’re basically crowdsourcing innovation with the mApp Exchange. Having been with Cherwell since very (very) early on, I can vouch for the fact that creating technology to move ‘beyond IT’ has always been at the core of what we do. That said, it’s entirely possible that our definition of ‘beyond IT’ doesn’t necessarily match other definitions you may have come across recently. As an example, one of our esteemed colleagues in the ITSM industry stated that IT organizations are grossly overstaffed and that products aim to move beyond IT – with the connotation that they can somehow bypass/defund/get rid of IT along the way. I will admit that the nature of IT is changing and has to change with the times, but when a company looks at moving ‘beyond IT’ as a literal means to get IT out of the picture – well, that’s just not how we think about it. The real value of IT is when the group becomes a strategic enabler of the possible, as opposed to the reactive back office overburdened with firefighting and keeping the lights on. IT becomes infinitely more valuable when approached as a true partner to the business, seen as a valued business analyst that assesses and assists. The new IT department shores up and enhances the bottom line of the company, rather than trying to demonstrate value to the business through an endless series of server implementations. And that’s where the real value of mApp solutions comes into play. When an IT group is already using a Cherwell system to provide a single-pane-of-glass view into the services they offer, one of the benefits they can bring to their organizationis to expand that view to act as a broker for services from other business units or even external suppliers. This is simple when utilizing Cherwell Service Management’s codeless configuration and workflow engine in conjunction with mApp technology. When another department comes to IT with a request, such as HR time tracking, a training registration system, or Facilities request management, the IT group can easily extend their CSM solution to provide these capabilities with mApp Solutions. This, in itself, can dramatically reduce the current business practice of finding a shadow solution to meet their needs. mApp solutions and our definition of ‘beyond IT’ are all about empowerment. Cherwell aims to empower IT organizations to move beyond the slow speed and limitations of a configuration that requires developers and coding. Cherwell wants to empower business units to do nearly anything they can dream of, absent of technical restraints. Cherwell seeks to empower employees to get to the services they need in an intuitive and familiar fashion. Finally, Cherwell seeks to empower its customers to share their best practices with each other and other organizations to take advantage of those best practices. Empowerment was a clear theme amongst the finalists for the Pink Innovation of the Year award. We are very proud of this award win and are taking good care of this very cool trophy. But most importantly, we consider ourselves enablers of empowerment. 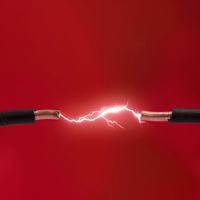 Empowerment can help your IT organization become innovators of the year for IT excellence. While mApp solutions have always been designed to move ‘beyond IT’, perhaps a better way to look at it is to say that the mApp technology was designed to move ‘IT beyond’. Beyond the limitations of other software, beyond serving the “MOOSE” and beyond the all too common perception of being the department where the business’ dreams go to die. There’s a lot more that Jarod and I want to share with you about mApp technology. Please consider learning more about mApp solutions with our upcoming webinar series, details of which will soon follow. One of the themes at this week’s Gartner Symposium is digital business and the big change that it is driving. As I travel and talk with customers, I see evidence firsthand of how the digital age is impacting every industry, transforming every corporation, and is arguably the greatest force of change in the global economy. Every business must rethink how it builds value. Every organization needs to constantly transform and innovate, and re-imagine its underlying business model to build competitive advantage. This is just as important to IT – which has evolved from supporting the business to being the heart of business. Company success demands speed, and IT services need to be more intelligent, intuitive, and mobile to keep up. This is where a smarter service desk can help. 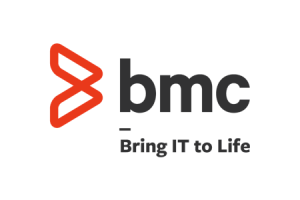 With the release of BMC MyIT this past year, we forever changed the relationship between business users and IT. Now, with the introduction of Remedy with Smart IT, we are delivering a game-changing, experienced-based application for the IT organization. It is our belief that employees should enjoy using technology. We design our technologies to provide an intelligent, mobile, and beautiful experience for IT roles, not product modules. Remedy with Smart IT not only revolutionizes the IT service desk experience but also improves productivity and IT knowledge so that digital services are delivered faster and at a lower cost while meeting the business expectations of the modern digital enterprise.